Keeping track of your finances can get complicated, especially if you share any expenses with friends or colleagues or you’re spending money on behalf of your employer. 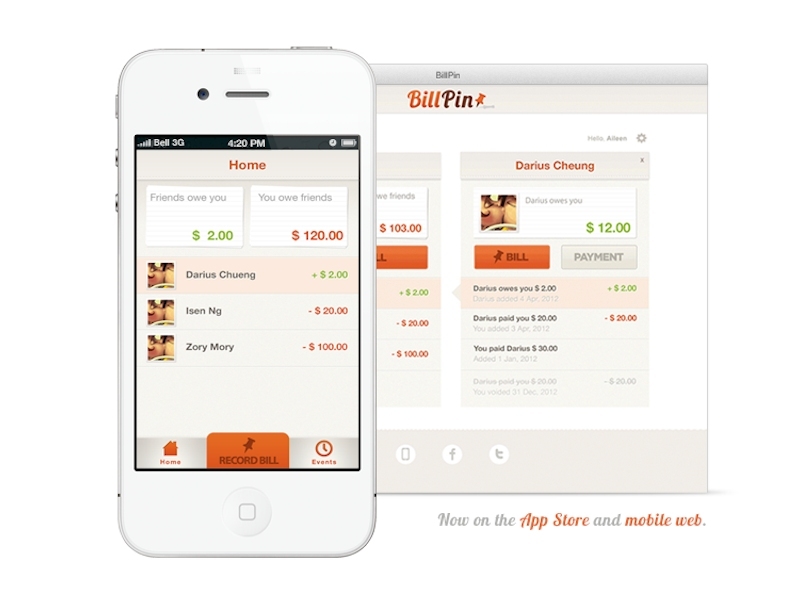 Billpin is an app that should stop you coming to blows over cash flow as it lets you easily record who owes what, keeping everyone informed via email. As well as free iPhone and Android apps to tally up as you go you can use the Facebook login to keep a note through your browser. Whether you’re splitting travel expenses or spotting a colleague a fiver for lunch, you need never lose track of another debt. There are an impressive 40 default currencies available, including beer if that is the way you choose to trade with your buddies.